5 Reasons Why I'm Voting for Jerry Banfield as a Steem Witness! In this blog post I’m going to give you 5 reasons why I’m voting for Jerry Banfield as a Steem witness. Witness votes are very important because this is how we, as users, choose the committed people who will help Steem run and grow. I’m voting for @jerrybanfield as a Steem witness and I invite you to do the same too. This blog post was first published on Steemit and I decided to repost it on my own blog here as a backup because a bunch of people did not agree with me, and I’m not sure if the post is going to stay visible there because it has been down voted. On my blog, I’m free to express my opinion, and this motivated me to run some Facebook ads to promote it so lots more people will read it. These are the 5 reasons why I’m voting for Jerry Banfield as a Steem witness. I have known and followed Jerry banfield for nearly two years now and I have learned a lot from him since I took his Facebook Ads & Marketing course, on Udemy at the time. I took a lot of his other courses as well and I found that he is an excellent teacher online because he can explain difficult things in an easy way. I then started to be interested in Bitcoin after seeing Jerry’s videos on YouTube and this encouraged me to go further in learning more about it and using it. Jerry also got me interested in other cryptocurrencies and he is the reason why I joined Steemit and try to write quality posts for the platform. 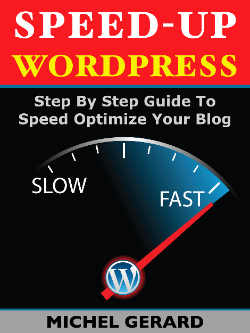 I have also started to work with Jerry Banfield more than a year ago as a freelancer and I am very fortunate to have the chance to help him with his posts on Steemit, his books and other marketing matters. So the first reason why I’m voting for Jerry Banfield as a Steem witness is because almost all I know about cryptocurrencies and Steem in particular, I have learned from him in his numerous blog posts and videos. Jerry is a very genuine person with a very good heart because he thinks of people’s interests before his owns. He has been attacked recently by some people on Steemit who created an anonymous account for the purpose of spamming comments and flagging his posts. They say that he is a scammer because he sells courses that are made from information available for free. I have taken about 50 online courses from different teachers, not only Jerry’s, and all the courses were made with information available for free online! Everything can be found for free in blog posts and videos online, it’s only a matter of how you want it delivered to you. I am willing to pay for quality courses made by him or other teachers. Even posting this same post on Steemit was quickly flagged by haters, or lost souls, so that it doesn’t show there anymore… sad! Now, what about getting paid courses for free? So the second reason why I’m voting for Jerry Banfield as a Steem witness is because of his generosity and positive personality. Jerry Banfield is a top 5 author on Steemit and his posts are of high quality on different topics. With the amount of followers he has, he could have decided to make lower quality posts just for the rewards, but he has maintained the standard since the begining. Jerry is committed to contribute to Steemit and he is not only writing posts, but also promoting Steemit to anyone who will listen in his videos, podcast and blog posts. So the third reason why I’m voting for Jerry Banfield as a Steem witness is because of his quality involvment as an author with Steemit. Jerry Banfield has set up two powerful servers to serve the community as a Steem witness on Steemit and he is prepared for a top 20 position. The technical aspect is also very important when you choose for who you are voting. A low specification server, that may be misconfigured as well, can miss several blocks or even be down. If I am not mistaken the server cost is $250 per month and this shows that Jerry is serious about running a server as a Steem witness and ready for growth. So the fourth reason why I’m voting for Jerry Banfield as a Steem witness is because of his two powerful servers he has set up and his commitment to being a Steem witness. Jerry Banfield has pledged to give 100% of his witness rewards to advertise Steem on Facebook and YouTube. 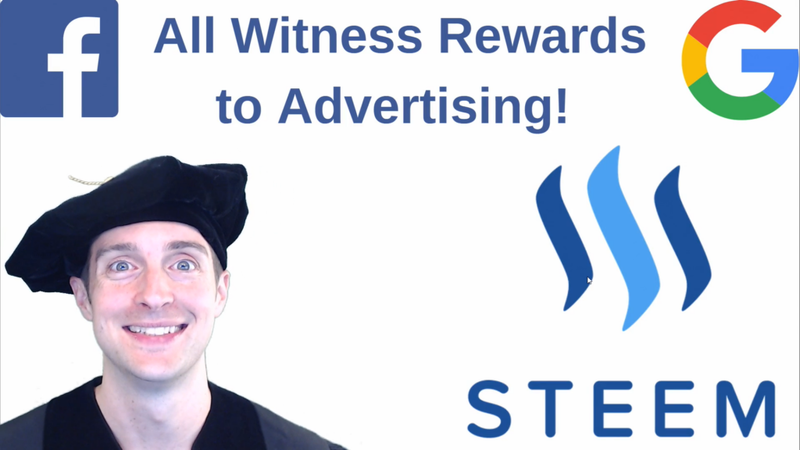 See this post for more information: Giving 100% of My Witness Rewards to Advertising Steem! Considering that the cost of the two servers is at around $250 per month this is a very generous offer to give back to the community 100% of his rewards as a Steem witness. Only giving back 50% would have been awesome, so 100% shows the commitment Jerry has for Steemit and the community. There are also several other Steem witnesses who give back to the community in other ways, but most of them just give nothing back. Also, Jerry is an expert at running Facebook and YouTube ads and I’m certain that this will bring a ton of new sign-ups to Steemit. He already has run ads for Steemit before using his author rewards and results were excellent. So the fifth reason why I’m voting for Jerry Banfield as a Steem witness is because he is giving back his witness rewards to the community in promoting it with paid advertising. Would you please make a vote for jerrybanfield as a Steem witness or set jerrybanfield as a proxy to handle all witness votes at https://steemit.com/~witnesses because 100% of the rewards he receives are spent advertising Steem? Jerry Banfield had my Steem witness vote for quite sometime, but a couple of days ago I decided to set him up as a proxy so he can handle all witness votes for me. Go to this page https://steemit.com/~witnesses and look for user jerrybanfield in the list, at the time of writing, he is ranked #29. Just upvote like you would do on an ordinary post. or you can set @jerrybanfield as a proxy to handle all witness votes. I hope reading this is useful for you. Would you please consider upvoting this post because this will help other people find it and encourage me to write more.